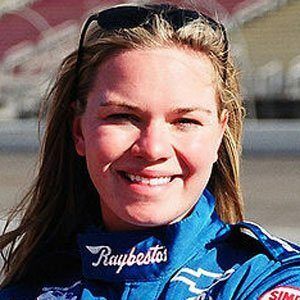 Former IndyCar racer who made 81 starts in her career. She was named the IndyCar Series Most Popular Driver three straight years from 2001 to 2003. She won the World Karting Association World Championship in 1990 at age 10. She had a brief stint in NASCAR between 2004 and 2005. She married her racing Crew Chief, Andy O'Gara, in 2007 after dating for three years. They had a daughter named Zoe and a son named Daniel. She was unable to win a race in the IndyCar Series, but Danica Patrick accomplished the feat in 2008.